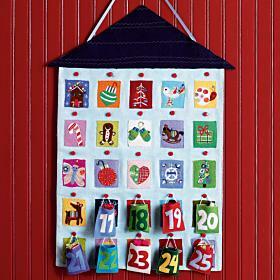 The Christmas Countdown Calendar from Land of Nod is a cutie. It's on sale and they're offering free shipping, too! Love the idea of filling the little pockets and removing one each day to reveal sweet little holiday designs. I think this one is adorable.